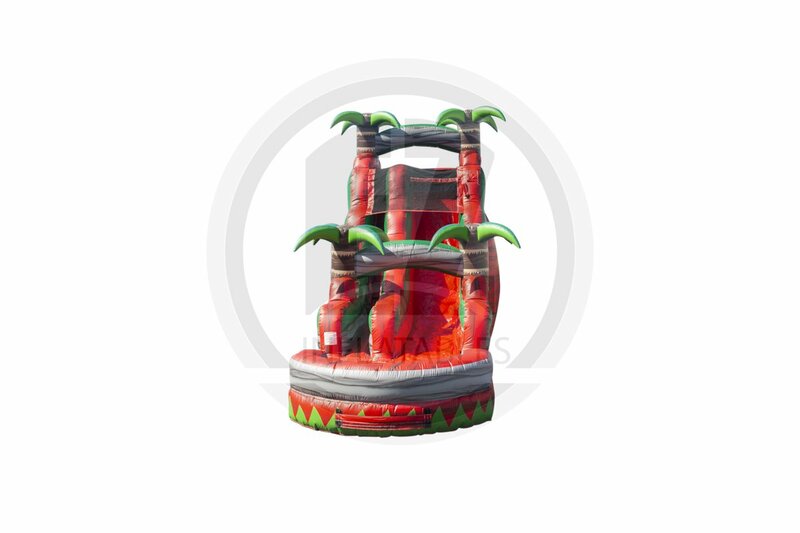 "20ft Red Crush Water Slide"
Introducing one of our new water slide's: "Red Crush Water SLide" Wow, this slide is a real eye catcher! This beautiful slide sits at 20ft tall. The slide features very stunning and brilliant blue and green marble vinyl. Palm trees sit atop and at the bottom of the slide to give you that tropical feel before you plunge into a pool of refreshing water. This unit includes top safety features such as: front loading steps, netting atop the slide and an pool bottom to help soften the landing when you splash into the awesome pool! Don't for get to add our snow cone machine, it's a perfect fit on a hot day with this water slide!